Volya, ‘freedom’, encompasses the unified spirit of over 40 dancers. Many of the original members studied in Ukraine, and wanted to develop a similar academic style of dance within Canada. here, strict adherence to technical training and professionalism is of the utmost importance. 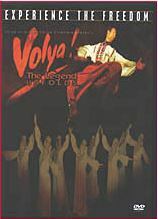 Founded in 1989, Volya has flourished into a vibrant ensemble consisting of dedicated members who have captivated and delighted audiences with their dynamic performances around the world. Enjoy their exciting program of traditional Ukrainian folk dance. From the repertoire of Volya: Pryvit, Uzhanskyj Dance, Kozachok, Kubanski Kozaki, Podolianochka, Bukovinian Celebrations, and Hopak.